Send help worldwide with the funds you raise at your next event. 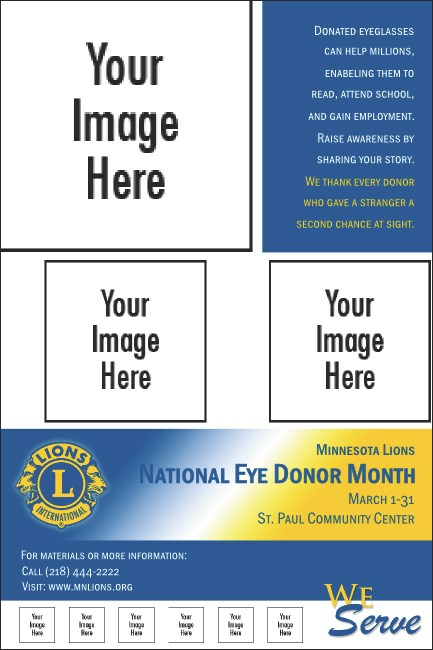 The big Lions Club International Poster is the perfect starting place for any promotion. With a total of eight spaces for your images, this poster template helps you fulfill the motto: we serve. Bring it all together with matching promotional materials from TicketPrinting.com.